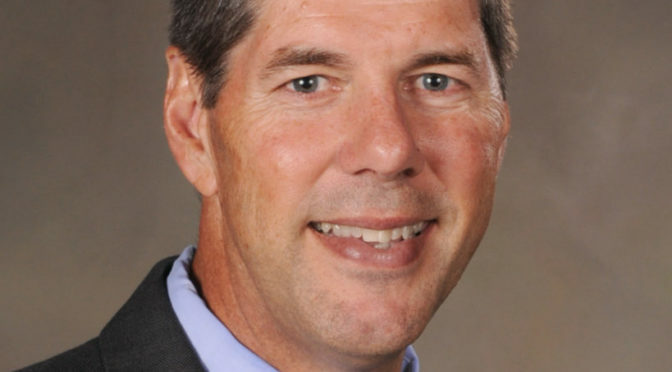 Randy Cason, Ascension Via Christi Hospital in Pittsburg president, was named one of 60 rural hospital and health system CEOs to know in 2019. 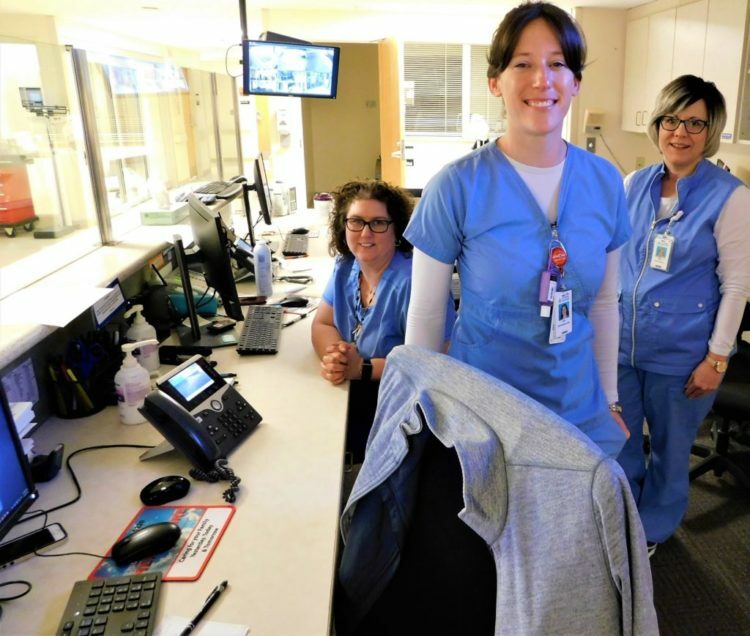 Cason ensures the 550-employee Ascension Via Christi Hospital provides care to the entire tri-state area. Stepping into the president role in 2010, he led the hospital through a brand change and then a major remodel. 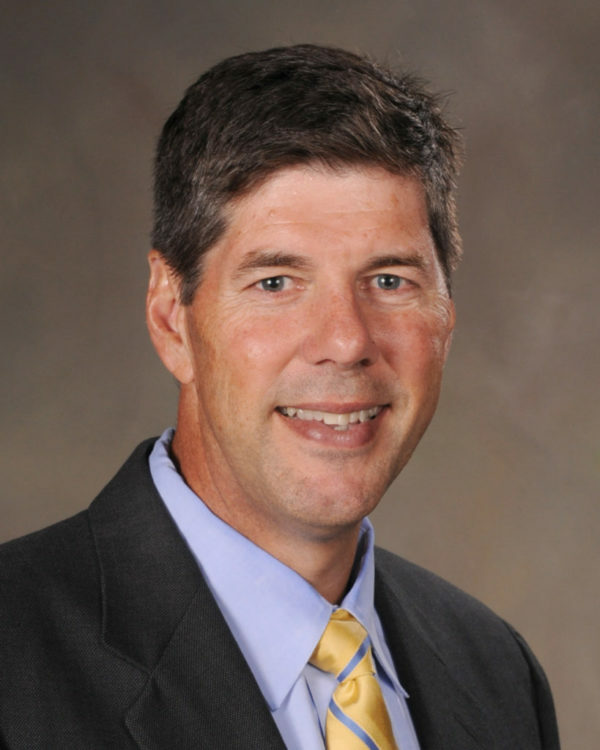 Mr. Cason is also active in Pittsburg’s government, serving as a past Pittsburg Chamber of Commerce chairman of the board and current Kansas Hospital Association board member. Becker’s Healthcare accepted nominations for this list and considered leaders making a positive impact on their organizations. The CEOs featured lead hospitals consistently recognized by the National Rural Health Association, American Hospital Association and HIMSS as top institutions. Others sit on local chamber of commerce boards and serve state hospital associations. For the full article, visit https://www.beckershospitalreview.com/50-rural-hospital-and-health-system-ceos-to-know-2019.html. Randy Cason, Ascension Via Christi Hospital President speaks at the grand opening of the Fort Scott Emergency Department on Feb. 28. 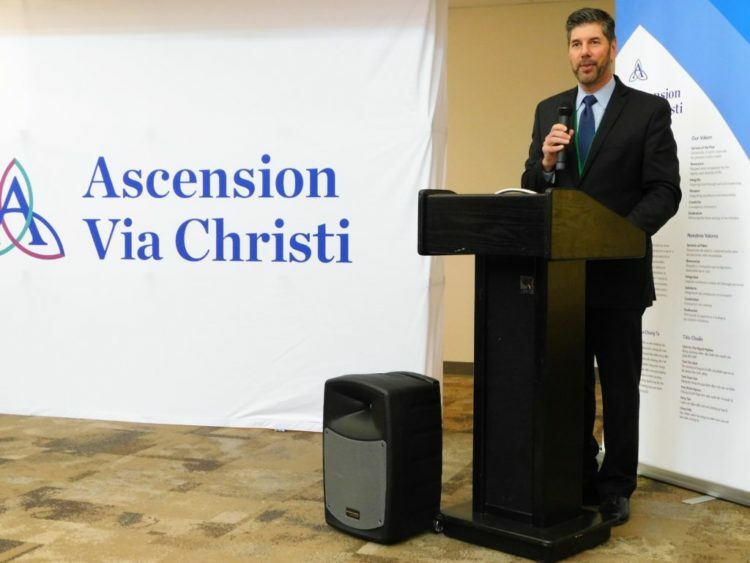 A ceremony of speeches, prayers, cookies and punch, and tours of the new Ascension Via Christi Emergency Department took place in the former cafeteria of Mercy Hospital on Feb. 28. 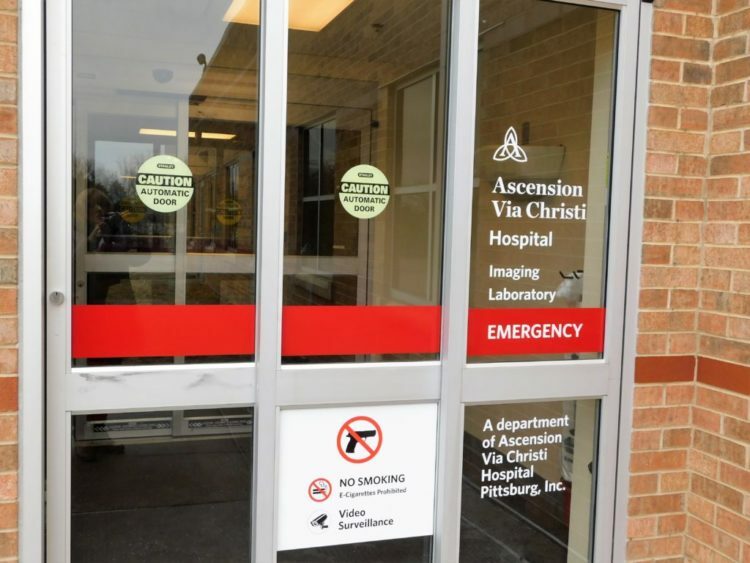 Ascension Via Christi assumed operations of the closed Mercy Hospital Emergency Department on Feb. 1, 2019. On Feb. 18, the new department began operations in Fort Scott. 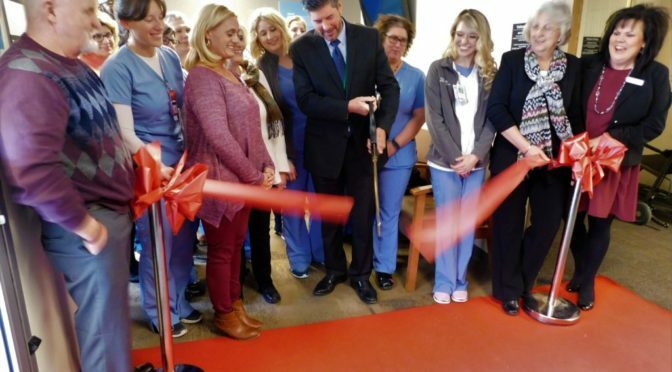 The grand opening and ribbon cutting ceremony was the celebration of the emergency department opening. 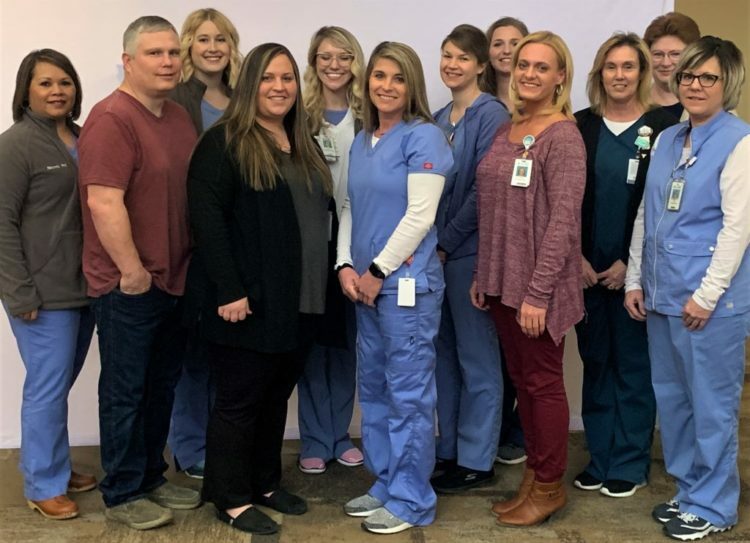 There are 40 employees at Fort Scott, including emergency, radiology and laboratory services, said Michelle Kennedy, Ascension Via Christi Senior Marketing Specialist. “We worked hard to see the former employees staying on,” Kennedy said. The facility chosen would depend on hospital availability and the condition of the patient, Kennedy said. Some of the 40 employees of Ascension Via Christi at Fort Scott. Back row, left to right: Jessica Cobb, Kayla Stewart, Adrienne Kellenberger, Holly Ryan, Barbara Dunlap, Stephanie Holtz. Front row L to R: Naomi powers, Bill Watkins, Brooke Newell, Melissa Wescoat, Jennifer Meadows, Cheryl Koppa. 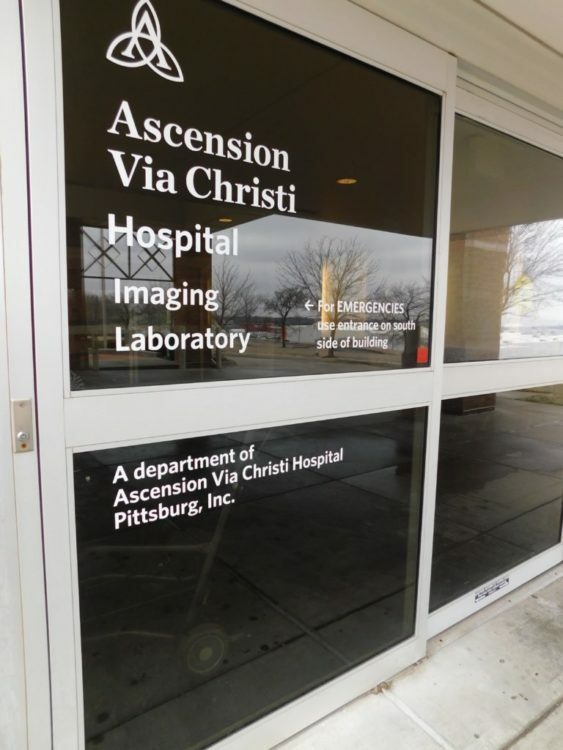 The outside entrance, on the south side, to the Ascension Via Christi Emergency Department. 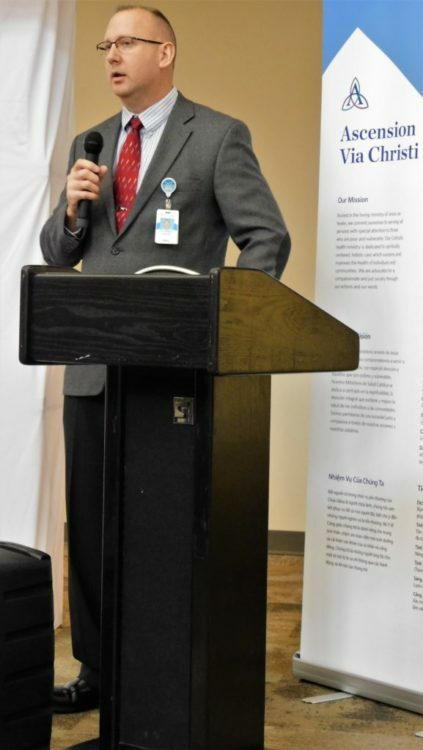 Dr. Tim Stebbins, medical director of the Ascension Via Christi Emergency Department in both Pittsburg and Fort Scott, speaking at the grand opening of the Fort Scott ER on Feb. 28. Ascension Via Christi Hospital has imaging and laboratory services at the former Mercy Hospital building at 401 Woodland Hills, Fort Scott. Fort Scott Chamber of Commerce Executive Director Lindsay Madison speaks during the grand opening and ribbon cutting for the emergency room. Also speaking from Fort Scott were City Manager Dave Martin, Mayor Jeanne Parker, and Father Yancey Burgess (pastor at Mary Queen Of Angels-Fort Scott), who prayed a blessing for the emergency department. The Ascension Via Christi Emergency Department had a ribbon-cutting ceremony at the reception area on Feb. 28, including staff and administration and local city dignitaries. 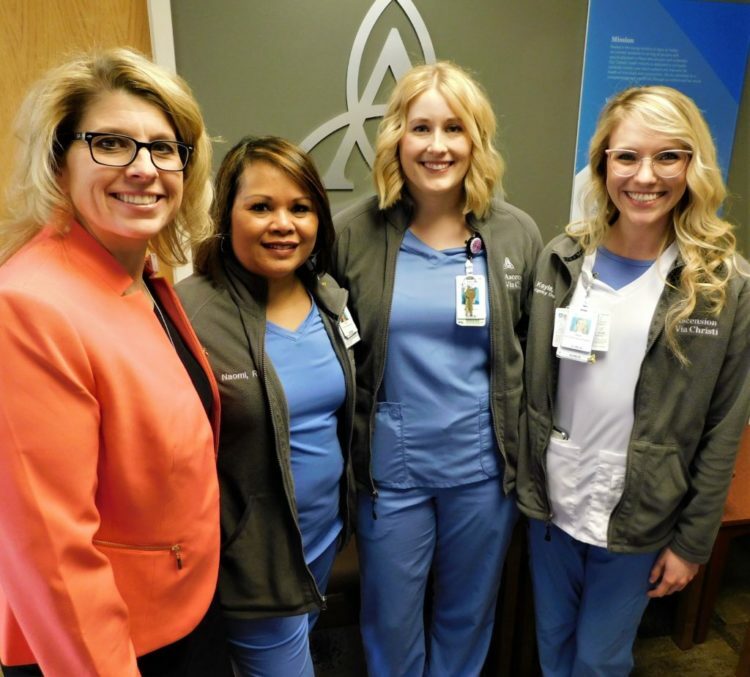 From left: Tawny Sandifer, Ascension Via Christi Chief Nursing Office, and project leader for the Fort Scott Emergency Department; Naomi Powers, Director of the Emergency Department in Fort Scott and Pittsburg; Jessica Cobb, RN Nursing Manager, Fort Scott and Pittsburg; Kayla Stewart, RN Coordinator Clinical Program. man the emergency department nurses station the day of the grand opening of the Ascension Via Christi Emergency Room, Feb. 28. All of the full-time nurses are local, said Ascension Via Christi Manager of Patient Access, Jennifer Meadows. 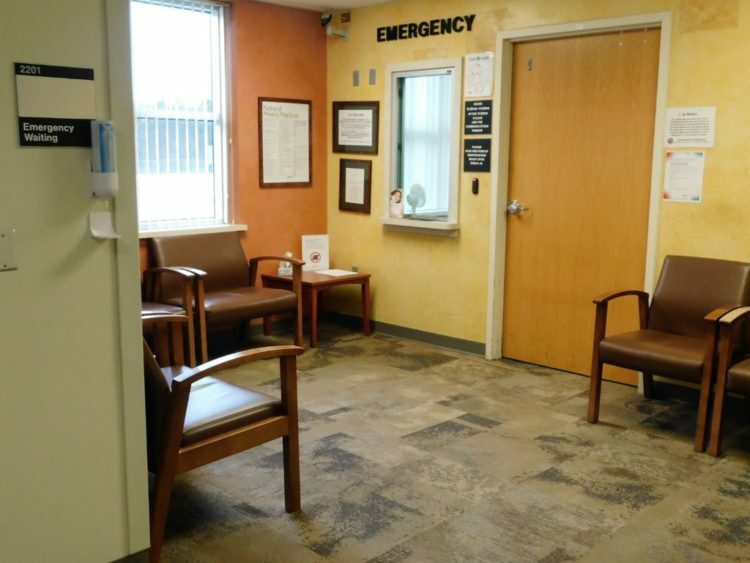 The emergency department interior “looks pretty much the same,” Meadows said. 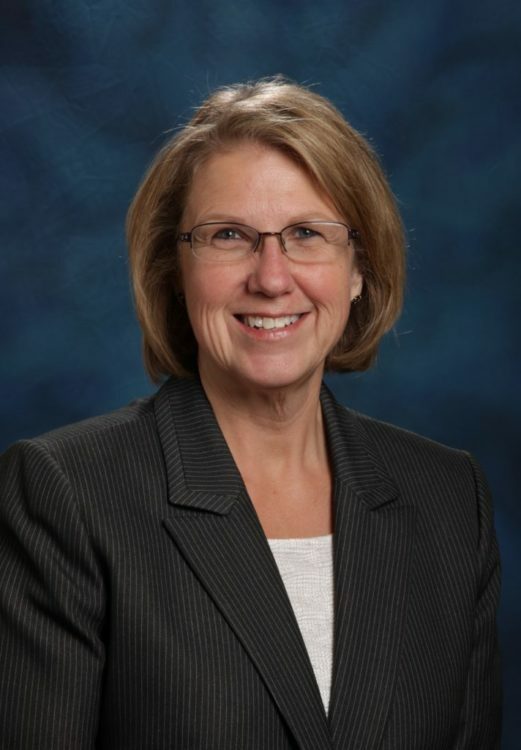 Michelle Kennedy is the Senior Marketing Specialist for Ascension Via Christi Hospital in Manhattan, Ascension Via Christi Hospital in Pittsburg and Wamego Health Center. 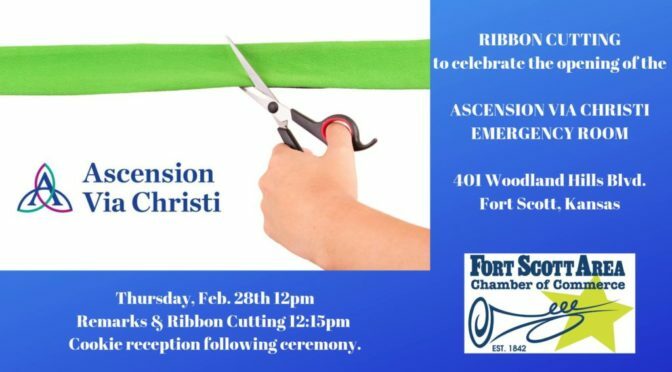 FORT SCOTT, KS – Ascension Via Christi’s Emergency Department in Fort Scott will open its doors at 7 a.m. on Monday, Feb. 18. In addition to the ED, Ascension Via Christi will provide diagnostic imaging and laboratory services at the Fort Scott campus. 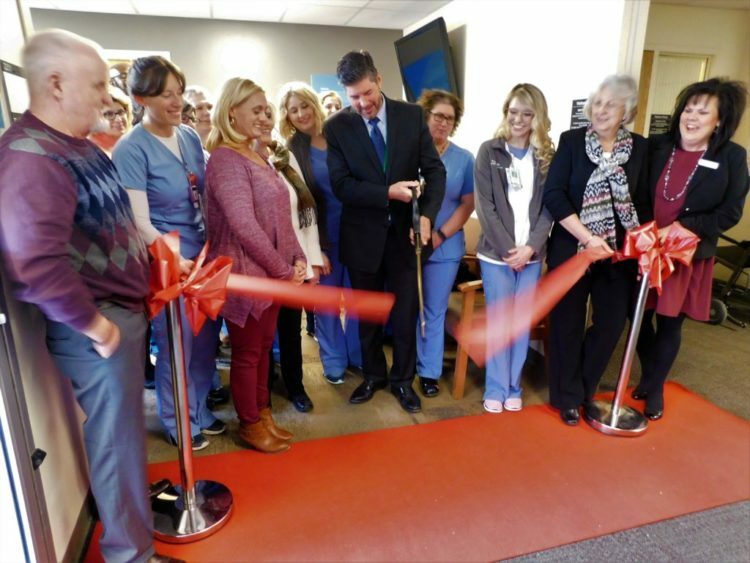 “Our team has worked diligently over the past 60 days to get Fort Scott’s emergency department up and running as soon as possible,” said Randy Cason, President of Ascension Via Christi Hospital in Pittsburg. “We passed all of the regulatory inspections and certifications, and successfully completed our physician agreements and associate onboarding. 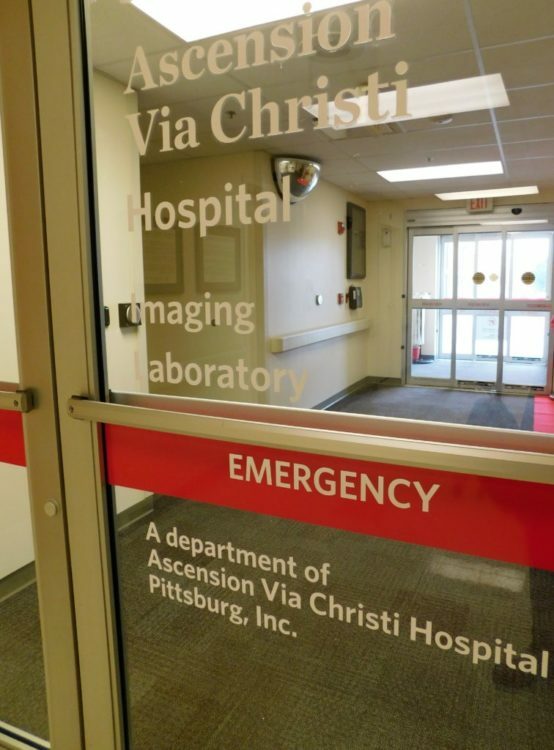 Ascension Via Christi Hospital in Pittsburg announced on Feb. 1 that it would assume operations of the emergency department in response to Mercy Fort Scott’s October 2018 announcement that it would close the hospital. Diagnostic imaging and laboratory services can accept orders from any physicians or health care providers in the area. Call 620-232-0447 for scheduling. Mercy Hospital Fort Scott signed an agreement with Ascension Via Christi to provide equipment and furnishings for emergency room services. 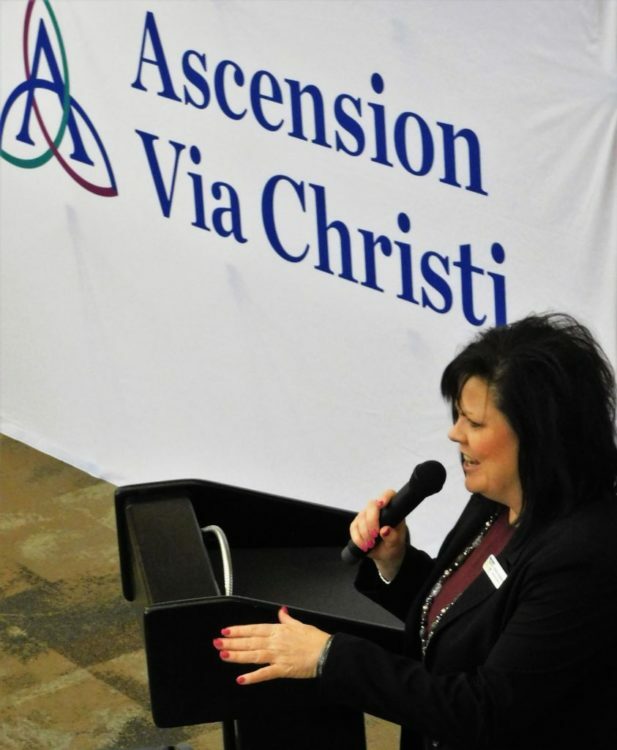 Mercy Hospital’s President Reta Baker signed an agreement with Ascension Via Christi on Jan. 27 to provide emergency room services at the hospital that ends for Mercy today, Jan. 31. 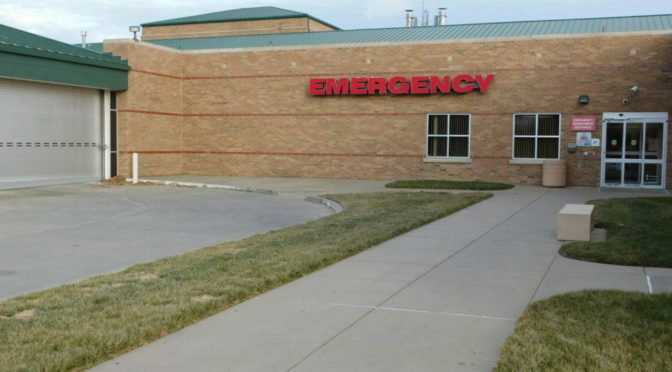 “It is an agreement that Mercy will provide lease space and provide the necessary equipment and furnishings to provide the services of an emergency room,” Baker said. 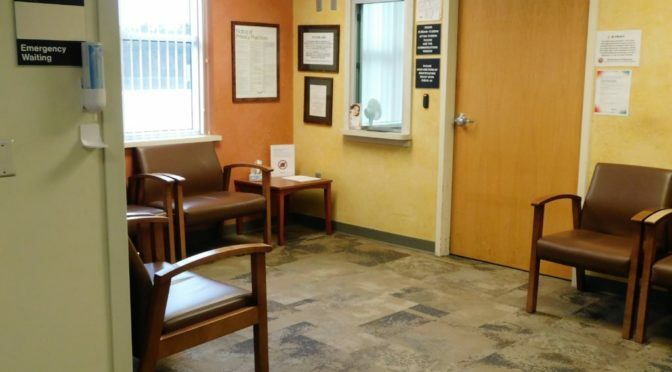 The Mercy Emergency Room waiting area, January 2019. One issue: there is a gap between the Mercy closing date and when Via Christi will get regulatory approval to provide emergency room services. She is estimating a few weeks, but it could be more, she said. Baker said the ambulance service will take patients to area emergency rooms in the meantime. The Mercy ambulance service continues under Mercy operation until April 1, then Bourbon County will become the owners, she said. What about the hospital pharmacy? The patient room wing of the hospital has been partitioned off to prevent the public from entering the area, she said. Even though it is a sad time, it is an exciting one, she said. “It’s an exciting new opportunity,” Baker said. “And a new model of care for the community.